For broadcasting radio and television programmes in analogue and digital technology via terrestrial network of transmitters, content provider (producer of programme content) must have a concession. Granting concession is within the competence of two Agencies, Agency for Electronic Media and HAKOM, so please follow the guidance below. The procedure on granting concession is defined by the Act on electronic media and Act on concessions, and is carried out by the Agency for electronic media. Technical background is based on the network coverage of the geographic area for which the concession is granted. Person interested in getting the concession needs to send an application to the Agency for electronic media that will then initiate a public tender procedure in case technical requirements have been fulfilled. Public tender for granting concessions in analogue technology is invited for every available radio frequency or more radio frequencies as a part of a single concession. Public tender for granting concessions in digital technology is invited for every available bandwidth for individual radio and tv programme within the multiplex. The Agency for Electronic Media adopts the Decision on opening public tender ane the Decision on granting concession, published in the Official Gazette. On the basis of the Decision on granting concession, technical inspection is carried out by HAKOM on the basis of the content provider’s request to establish whether all concession conditions have been met. licence for the usage of RF spectrum in broadcasting (please complete Application form for granting the licence for the use of RFS in broadcasting) and if there is a need to connect transmitters via microwave link for transmission of modulation, it is also necessary to obtain licence for the use of RF spectrum in microwave links (please complete Application form for granting the licence for the use of RFS in microwave links). 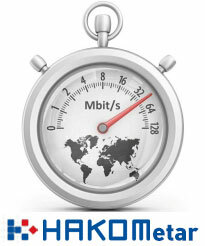 For the performance of radio and television activities in digital technology, the holder of the licence for the use of RF spectrum is network operator, so the content provider does have to obtain additional documents from HAKOM.